← Is your plumber memorable? If you live in the Spring area please be advised the gas company over odorized the natural gas in our area last night. Center Point Energy had over 700 calls in the area for potential gas leaks today. Plumbing companies phone lines are being flooded with calls for gas leaks. This is very scary to me, because we too have had the smell of gas in our home today. It took Center point over 6 hours to get here today. Some leaks can be repaired by plumbing companies but some at the meters should be repaired by the gas company. Natural gas by nature has no odor. 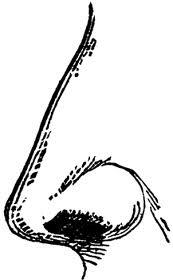 What you smell has been added by man so that we can be alarmed by smell and take immediate action. 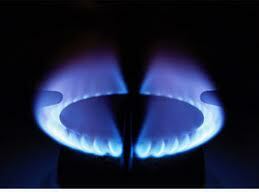 Nausea and headaches can be caused by breathing natural gas. If you smell gas it is very important to call either the gas company at 713-659-2111 or 888-876-5786 or your local plumber. You can even give Bear a call at 832-287-5180. I know I am not the only one out there scared of my house blowing up because of a gas leak. We had our gas meter upgraded on Monday. So, when I came home from Bible study on Monday night I walked in my bedroom and said “Do ya’ll smell gas” everyone said no. So the next morning I woke up and I still smelled gas, again no one in the house smelled it but me. Then today, I wake up walk out of my bedroom to get coffee come back into the bedroom and man I still smelt it but it was stronger today ….Bear do you smell gas. NO!!!! I leave to take the kids to school walk back in the house ….Oh my word do you not smell gas…..NO!!!! He said. So I continued to work at my desk. Bear goes outside to get ready to head out for the day, walks back in the house and guess what……Honey do you smell gas……AAgggrrrr YES!!! So he walks around the house with his gas detector….nothing…..then he walks outside to check at the meter…..WOW he said the leak was so bad his detector went crazy so he had to turn the gas off to the house. So ladies trust your noses and call us if you suspect a leak. So my big concern today is what IF the gas company had not over odorized? Would the gas leak from my meter have been detected? I smelt it in my house because of the bathroom exhaust vent which was direclty above the gas meter. Very scary!! !